Vienna is considered the world city of music. Especially the music of the Strauss dynasty and the Vienna Waltz in particular, has shaped and enchanted Vienna since the 19th century. 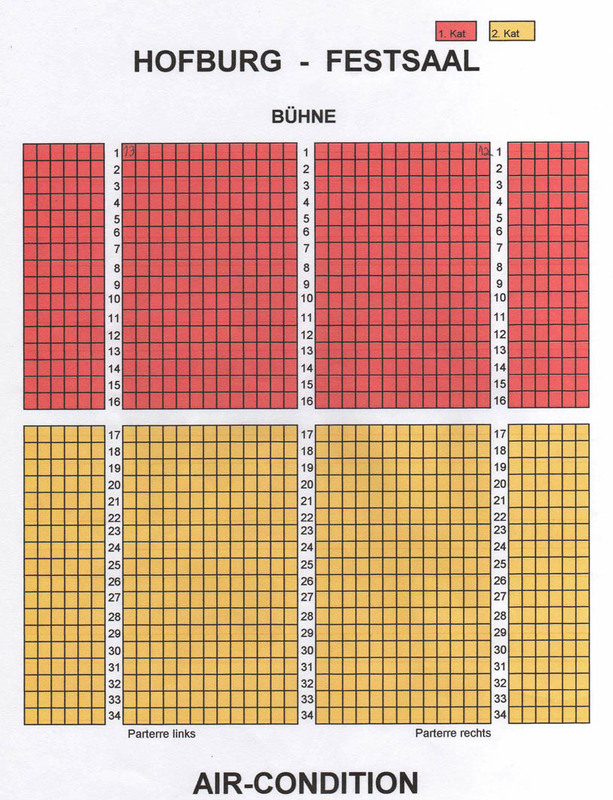 In 1971 the best musicians from all large orchestral societies in Vienna close ranks and formed the Vienna Hofburg Orchestra under the direction of the conductor Gert Hofbauer. Their paramount goal is to cultivate Viennese waltz and operetta music and carry it into the world. Regional and international radio and television productions, international engagements at symphonic concerts, as well as various recordings have spread the orchestra’s fame and popularity. 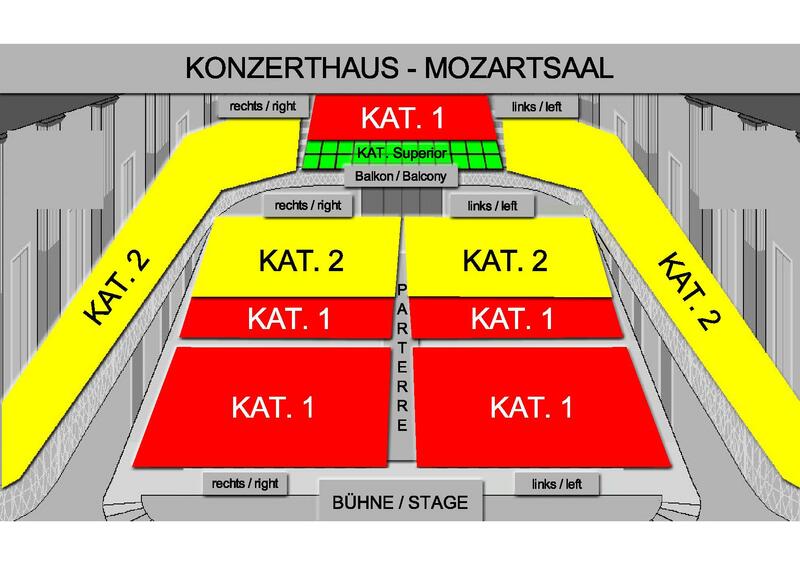 The Vienna Hofburg Orchestra gives Johann Strauss and Wolfgang Amadeus Mozart concerts every Tuesday, Wednesday, Thursday and Saturday from May until mid October and on selected dates from mid October until December. 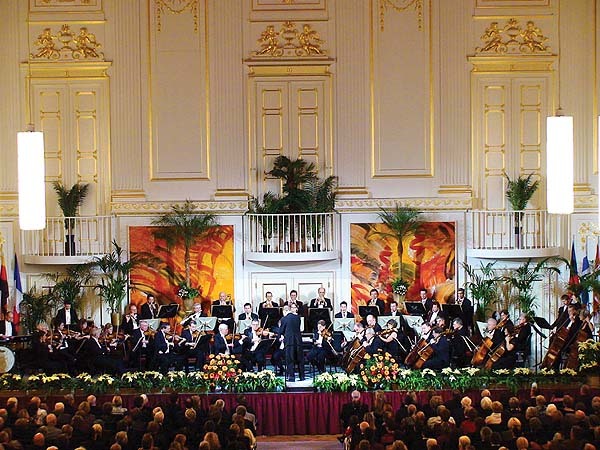 The Vienna Hofburg Orchestra is composed of about 40. professional orchestra musicians and 6 international vocal soloists. 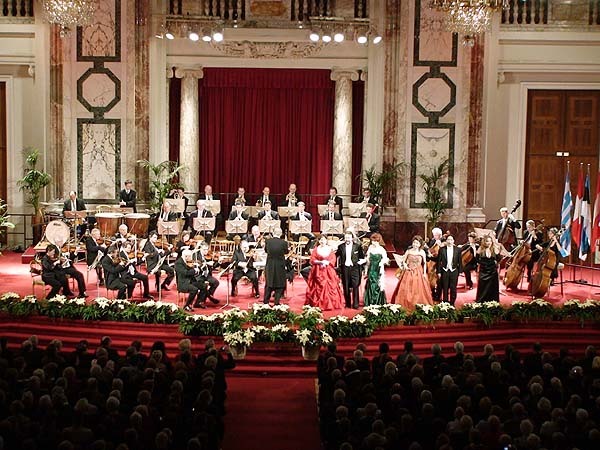 The Vienna Hofburg Orchestra New Year's Eve Concert is performed annually on December 31st at the Redouten Hall in the Vienna Hofburg. The program features the most famous waltz and operetta melodies by Johann Strauss, Emmerich Kalman, and Franz Léhar as well as opera aries and duets by Wolfgang Amadeus Mozart. Our orchestra, led by conductor Gerd Hofbauer and composed of 36 musicians and 6 international vocal soloists from Vienna’s largest orchestral societies will showcase highlights from " The Marriage of Figaro", "The Magic Flute " and operettas like "Die Fledermaus" and "The Merry Widow" promising an unforgettable turn of the year. Ring in the New Year and enjoy the Hofburg Orchestra playing "Die Fledermaus Overture", "The Blue Danube", and the "Radetzky March", as well as music from "The Magic Flute", and "The Merry Widow". 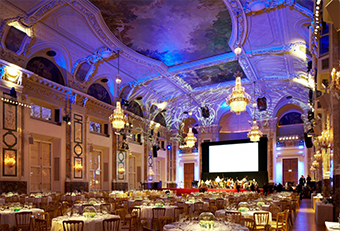 Every year on January 1st the Vienna Hofburg Orchestra celebrates the New Year with their guests in the flower-decorated Festival Hall and Redouten Hall of the Vienna Hofburg. Previous concerts showcased the most popular waltz and operetta pieces by Johann Strauss, Emmerich Kalman, and Franz Lehar, as well as opera aries and duets by Wolfgang Amadeus Mozart. These spectacular concerts are performed by 52 musicians and 6 international vocal soloists, conducted by Gert Hofbauer. Hofburg Palace is a palace located in Vienna, Austria, that has housed some of the most powerful people in European and Austrian history, including the Habsburg dynasty, rulers of the Austro-Hungarian Empire. It currently serves as the official residence of the President of Austria. It was the Habsburgs' principal winter residence, as the Schönbrunn Palace was their preferred summer residence. 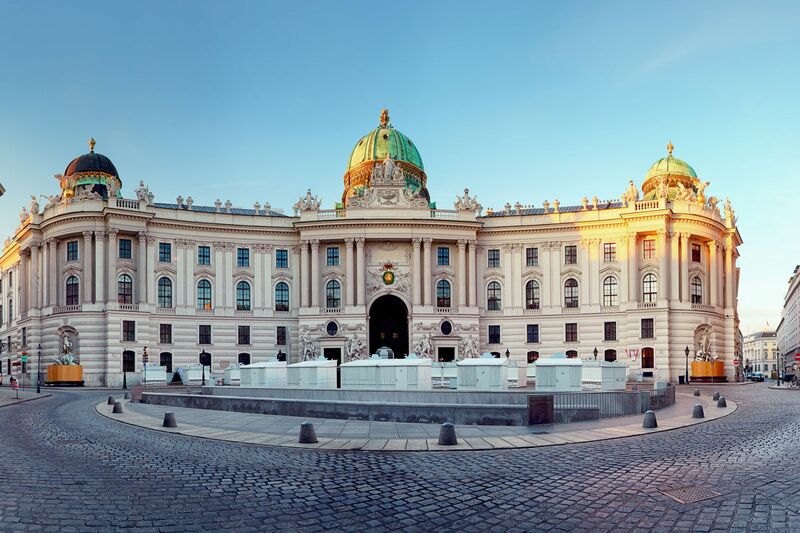 The Hofburg area has been the documented seat of government since 1279 for various empires and republics. The Hofburg has been expanded over the centuries to include various residences (with the Amalienburg), the Imperial Chapel (Hofkapelle or Burgkapelle), the Naturhistorisches Museum and Kunsthistorisches Museum, the Austrian National Library (Hofbibliothek), the Imperial Treasury (Schatzkammer), the Burgtheater, the Spanish Riding School(Hofreitschule), the Imperial Horse Stables (Stallburg and Hofstallungen), and the Hofburg Congress Center. 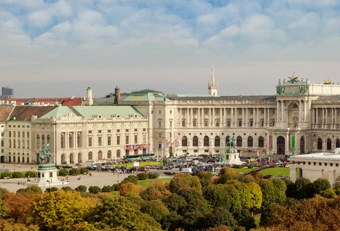 The Hofburg faces the Heldenplatz ordered under the reign of Emperor Francis Joseph, as part of what was to become a Kaiserforum that was never completed. ​The impressive imperial ambience is created for events of spectacular style. 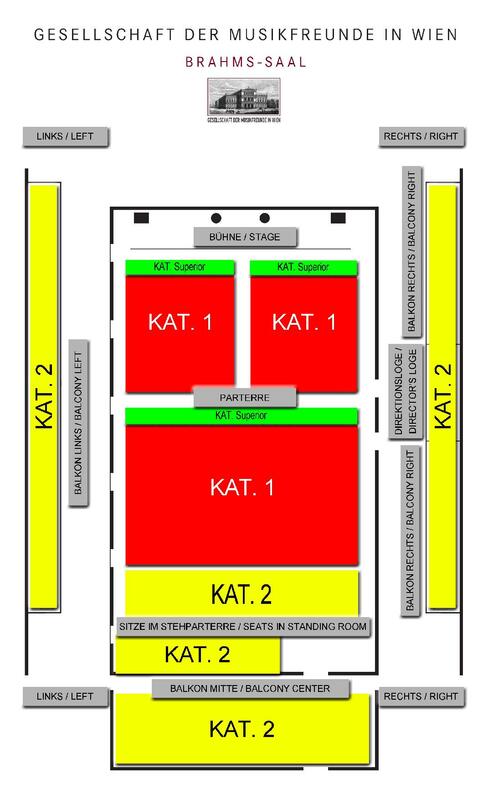 The room meets the highest standards, features a large permanent stage and integrated interpreter booths. The latest sound and lighting technology ensure unimpaired visual and acoustic clarity. 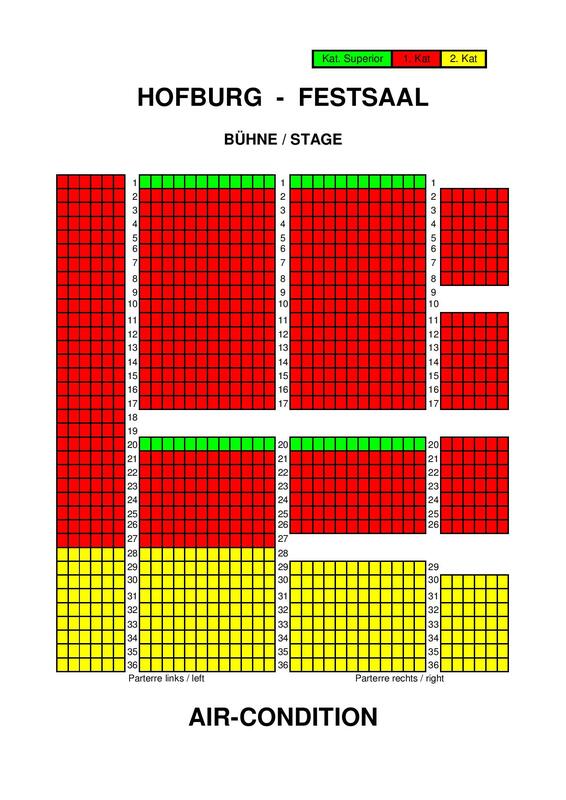 Take the U3 or the U2 subway to station Volkstheater and walk down Bellariastrasse towards the inner city. Once you cross the Ringstrasse (Burgring), you are at the Heldenplatz. Or take the local trams #1, #2, #46, #49, #D or the bus #2A to station Dr. Karl Renner Ring which is right next to Heldenplatz. 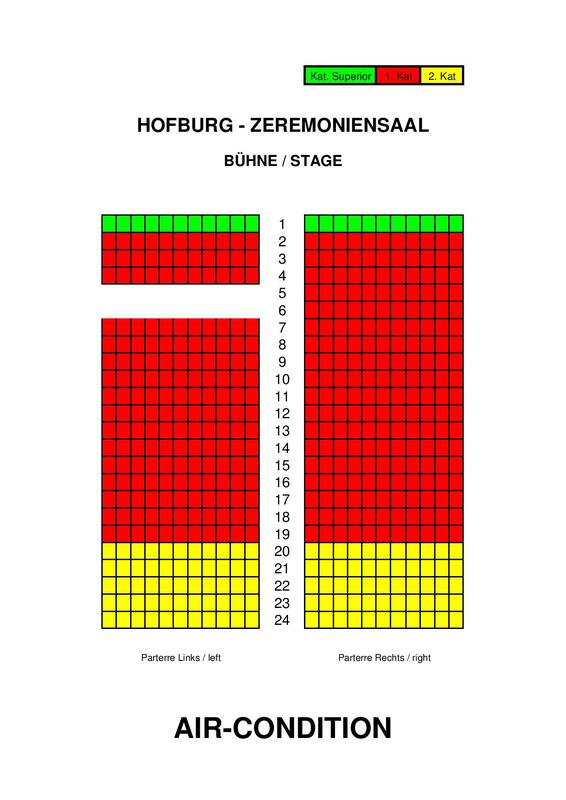 As is the case with all concerts that take place in the first district (Innere Stadt), we do not recommend going there by car. The first district is a labyrinth of narrow one-way streets and blind ends and parking is at best difficult, more often impossible. The area is also a pay zone (Kurzparkzone) from Monday to Friday from 9:00 to 22:00 with a maximum parking time of two hours (2.40 € for 2 hours). Taxis are a reliable and common means to get to your concert. Taxis are usually found at train stations and at taxi stands all over the city. To order one call • 31 300, • 60 160, • 40 100 or • 81 400. Taxis usually do not accept credit cards. Most taxis are non-smoking taxis, order a smoker taxi if you want to smoke during the ride.